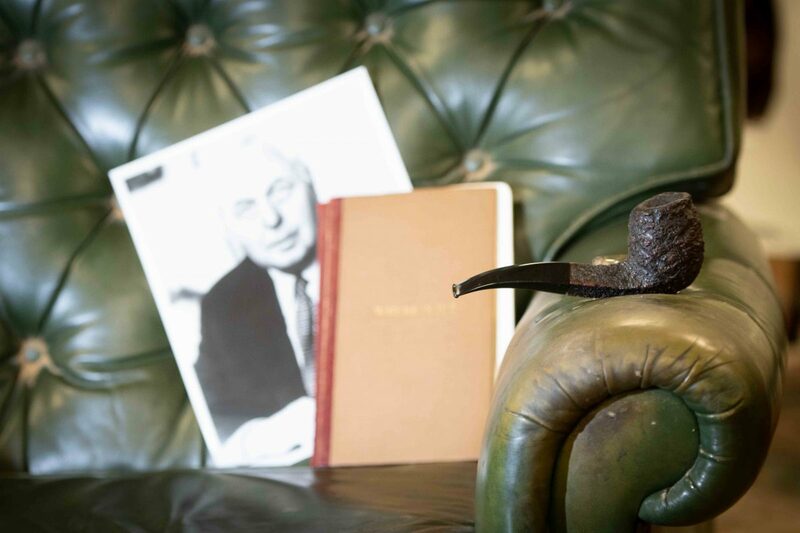 A treasure trove of the belongings of Labour Prime Minister Harold Wilson, including his iconic pipes, is set to reach tens of thousands at auction. 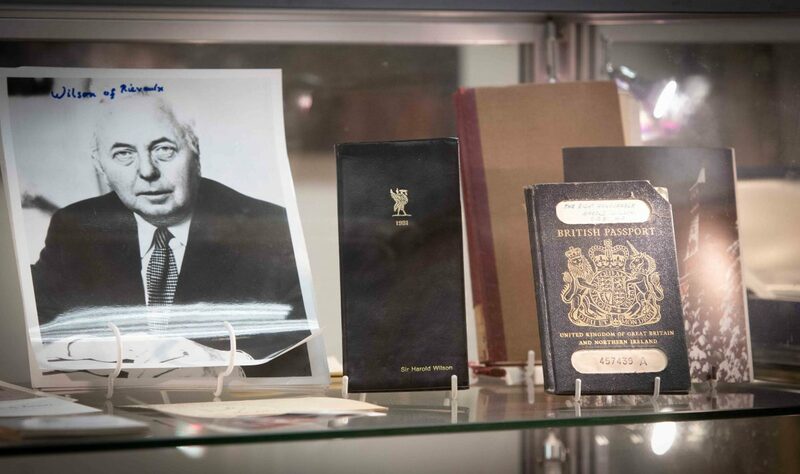 Hundreds of personal mementos hoarded by the British politician over his 79 years will go under the hammer following the death of his wife Mary Wilson on June 6 last year aged 102. 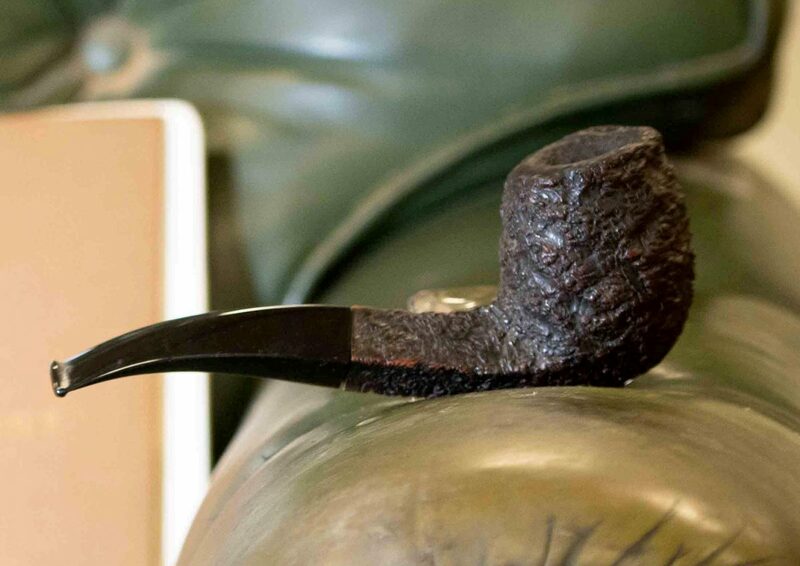 The collection includes his pipes, passport, leather armchair, ashtray, Boy Scout badges, personal letters, a story he wrote at the age of 18 called “Perfectly Monstrous”. 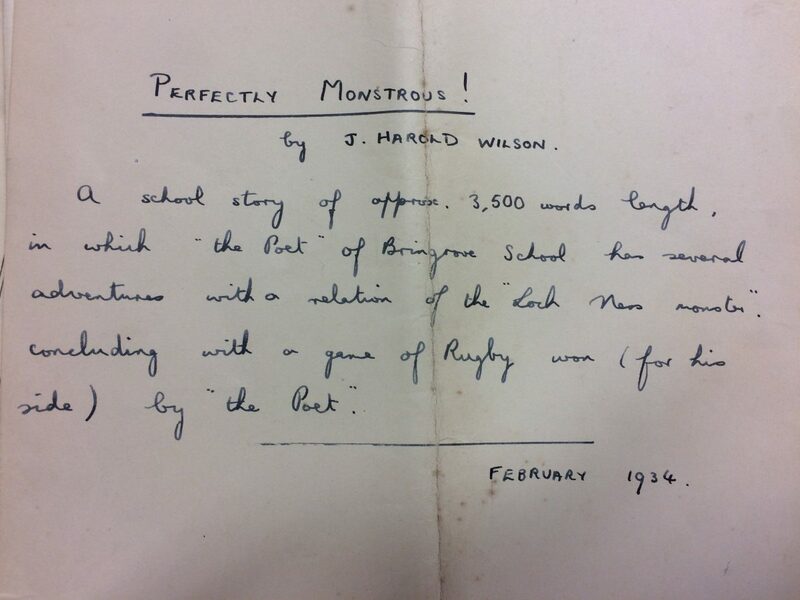 He was clearly a fan of the breakfast cornerstone HP sauce, as the auction will include a book about the condiment together with a miniature bottle with his name emblazoned on it. Also on sale will be photographs of Lord Wilson with world leaders including former Soviet Union leader Leonid Brezhnev and celebrities such as Bruce Forsyth, Penelope Keith and Morecambe and Wise. Also on sale is a key to the city of Washington DC which Wilson received in 1975 while serving his second term as British Prime Minister. 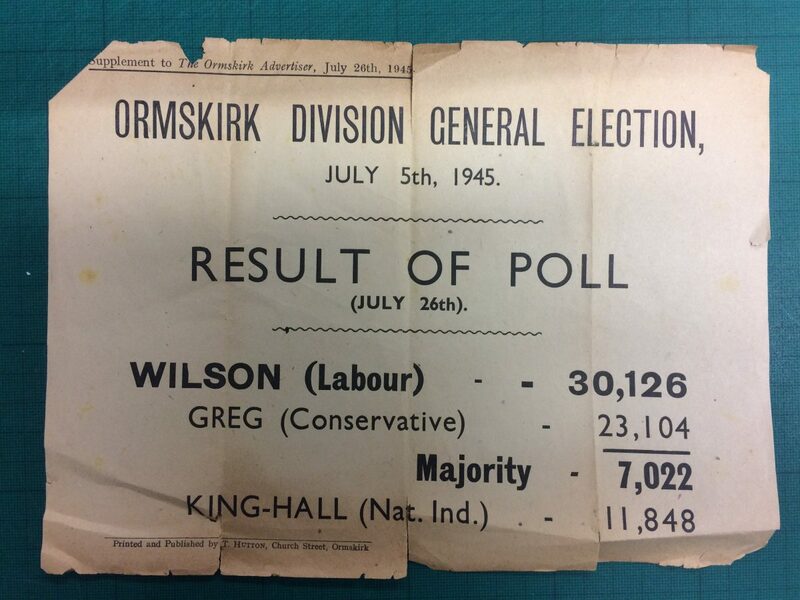 Among his treasured personal papers was a notice from the Ormskirk Advertiser in 1945 declaring Wilson as the winner of the parliamentary seat in Ormskirk, West Lancs., with 30,126 votes – a majority of 7,022. This marked the beginning of his career as an MP. There are also treasured photos of the Wilsons with the Queen and Prince Philip, and there are many Christmas cards from them and from other members of the Royal Family. There is a 100th birthday card to Lady Wilson from the Queen with a personal message. 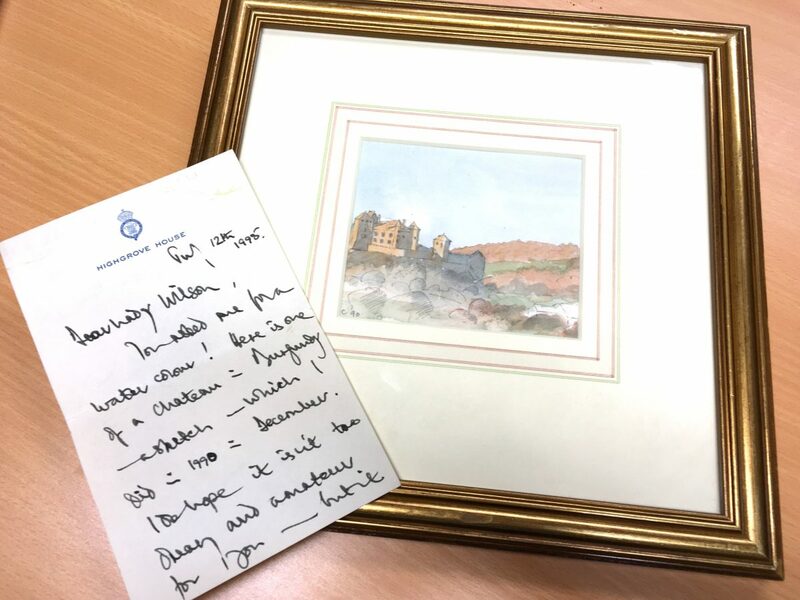 The auction will even include a watercolour painting by Prince Charles given to Lady Wilson and accompanied by a handwritten letter. Written on Highgrove House headed notepaper, and dated 1998, it says: “Dear Lady Wilson, you asked me for a watercolour. “Here is one of a chateau in Burgundy – a sketch – which I did in 1990 in December. The entire collection is expected to reach tens of thousands of pounds when it goes on sale at Hansons Auctioneers, Bishton Hall, Wolseley Bridge, Stafford, on May 10. Hansons are selling the collection on behalf of Lady Wilson’s estate. 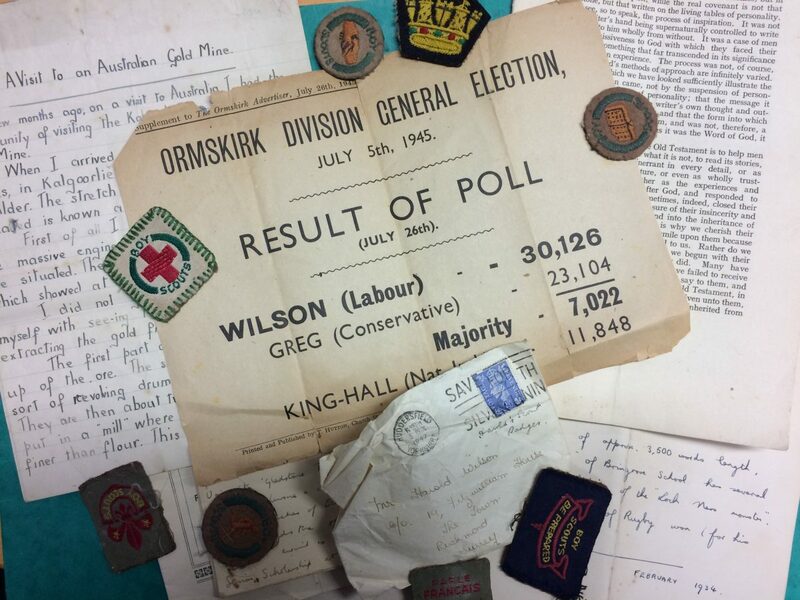 Charles Hanson, owner of Hansons Auctioneers, said: “We are truly honoured to be handling this incredible collection which has both political and royal pedigree. “Hansons has the privilege of handling these precious mementos following instruction from the executors of the late Lady Wilson’s estate. “The items paint a picture of an extraordinary life. “Harold Wilson will never be forgotten. “He was a man of the people who retained his Yorkshire accent, was Pipe Smoker of the Year in 1965, famously drowned his food in HP sauce, and supported Huddersfield Town Football Club. Harold Wilson was Britain’s Prime Minister from 1964 to 1970 and again from 1974 to 1976. He founded the Open University, and oversaw much pioneering legislation, including bills on equal opportunities, international aid, the abolition of hanging and of theatre censorship, and laws on abortion and homosexuality reform. During his second period of office he held a referendum on staying in the European Economic Community, which received a 67 per cent “yes” vote. He was born on March 11, 1916, in Milnsbridge, near Huddersfield, West Yorks., to Herbert and Ethel Wilson, an industrial chemist and school teacher. When he was eight, he visited London where a well-known photograph was taken of him outside 10 Downing Street. At the age of ten he went with his family to Australia, where he is said to have become fascinated with politics and reportedly told his mother: “I am going to be Prime Minister”. Outside school, his activities centred around the Boy Scouts. He studied Philosophy, Politics and Economics at Jesus College, Oxford, from 1934 to 1938. He graduated with a first class Bachelor of Arts degree, having written a paper on Economic Theory between the two World Wars. He became one of the youngest Oxford dons of the century at the age of 21. He was a lecturer in Economic History at New College from 1937, and became a research fellow at University College, working with Lord Beveridge. Harold Wilson volunteered for military service during the Second World War but was classed as a specialist and moved into the civil service, working for the Ministry of Fuel and Power. As the war drew to an end, he searched for a seat to fight at the impending general election. He was selected for the constituency of Ormskirk, West Lancs., and in 1945 won his seat in a Labour landslide. Some criticise Wilson for the civil unrest of the late 1970s during Britain’s Winter of Discontent. But a YouGov/Sunday Times opinion poll in September 2011 named Wilson as the third best post-war Labour Party leader after John Smith and Tony Blair. Lady Wilson was described by her estate as a “remarkable woman” and “a great support to her husband throughout her life”. She was renowned in her own right as a highly accomplished poet, and her books of poetry sold in the many thousands during the 1960s and 1970s. She also worked tirelessly as the supporter of many worthy causes and charities.